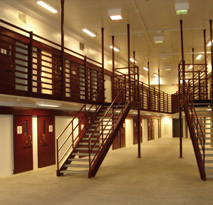 As one of the premier manufacturers in the industry, American Steel can supply the products that the detention industry requires. 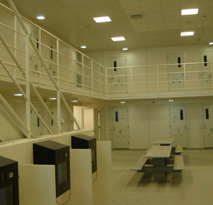 ASP meets the challenge by providing a complete line of products suited to rigorous detention duty. 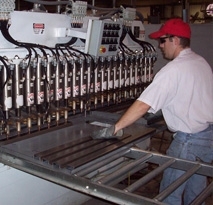 An extensive product line allows customers the flexibility to create the facility that meets their specific needs. 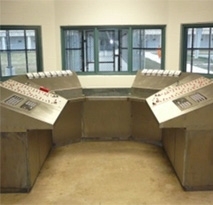 The ASP product design team possesses years of experience in design-build, engineering, and manufacturing expertise. Products are available in a variety of materials including commercial quality, cold-rolled steel conforming to ASTM A 1008 / A1008M; hot-rolled, pickled and oiled steel conforming to ASTM A 1011 / A 1011M; steel sheet, zinc-iron alloy coated (Galvannealed) or zinc coated (Galvanized) applied by the hot-dip process conforming to ASTM A 653/A 653M (A60 or G60); stainless steel conforming to ASTM A 666, Type ; and tool resistant (T/R) steel conforming to ASTM A 627-03. ASP also offers a quick ship expediting program for those times when product is required on-site quicker than the industry standard lead times. Under the quick-ship program, materials can be engineered, manufactured, and shipped in most cases within a (4) week lead time.